Sternoclavicular location of tuberculosis is a rare presentation of tuberculosis. We report a case of a 20-year-old female who presented with swelling in the front of the sternoclavicular joint. 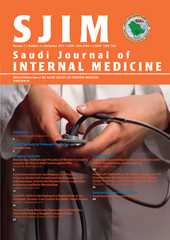 The diagnosis of sternoclavicular tuberculosis was made on the basis of computerized tomographic scan findings and microbiological examination of the aspirations of sternoclavicular joint. The bacteriological identification Mycobacterium tuberculosis was the key element in the diagnosis. The clinical outcome improved after effective anti-tuberculosis treatment. High level of clinical suspicion is needed to make the diagnosis of this rare presentation, which could be the telltale of an underlying pulmonary disease.